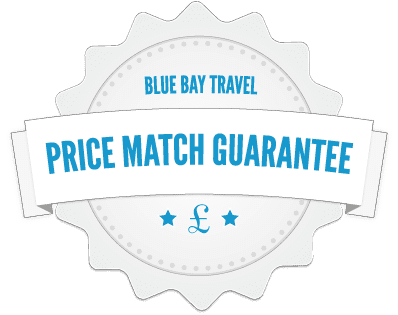 We constantly monitor our prices and those of other tour operators to ensure that our prices are the best available, but if you happen to find your holiday available at a lower price from any other ABTA Bonded Tour Operator holding an ATOL license within 24 hours of booking with us, and you can provide a genuine written quote for an identical holiday, we will match the lower price or offer you a full refund of all monies paid and cancel your reservation if we are unable to match the price. This guarantee applies to package holidays only. It excludes special offers, free child places, travel agent specific offers, group booking discounts, free add-ons, and insurance premiums. You won't find any hidden charges when you book with us. The price you see includes Return Flights, APD Tax, Fuel Charges, In-Flight Meals, Luggage Allowance and Resort Transfers.